Trademark :A registered name or logo that is protected by law. Must be registered with the UK Intellectual Property Office. Trader’s Unique Reference Number (TURN) :Used to identify an importer numerically. It is normally based on the trader’s VAT registration number, with a three digit extension. Tramp steamer – A ship not operating on regular routes or schedules. Transaction statement – A document that delineates the terms and conditions agreed upon between the importer and exporter. Transfer – A transfer to any person of items subject to the EAR either within the United States or outside of the United States with the knowledge or intent that the items will be shipped, transferred, or transmitted to an unauthorized recipient. Transfer Freight Manifest (TFM) :A removal authority for airfreight consignments which are to be transferred from one transit shed to another before going to the final destination. Transhipment :A movement where the goods are imported and exported within the confines of a UK airport or port in the course of a movement which started and will end outside of the UK. Transit :The movement of goods from one European Union member state to another without the need to “enter” them to a Customs procedure. Transit shed :A place approved by HM Revenue & Customs for the deposit of imported goods that have not been assigned to a Customs approved treatment or use and/or the temporary deposit of goods intended for export. Transports Internationaux Routiers (TIR) :International system that allows goods to be packed in a container under Customs inspection at the point of origin. The container can then pass across all national frontiers without being opened by Customs officers. Triangulation :Triangulation is the term used to describe a chain of supplies of goods involving three parties in three different countries. But, instead of the goods physically passing from one to the other, they are delivered directly from the first to the last party in the chain. Trust receipt – A written declaration by a customer to a bank stating that the ownership of the goods released by the bank is retained by it, and the client has received the goods in trust only. Such a receipt is given by the customer to induce the bank to issue a letter of indemnity to a carrier to release a shipment. Trust Receipt (T/R): A document to release a merchandise by a bank to a buyer (the bank still retains title to the merchandise), the buyer, who obtains the goods for processing is obligated to maintain the goods distinct from the remainder of his/her assets and to hold them ready for repossession by the bank. U.S. Government Restricted Party List – The U.S. export controls regulate transactions with certain specified entities and individuals, including those named on the following lists (collectively referred to as “Restricted Party Lists”), accessibleat:http://www.bis.doc.gov/ComplianceAndEnforcement/ListsToCheck.htm.WMD – Weapon(s) of mass destruction. U.S. person – An individual who is a citizen of the United States or a foreign national with a visa status of Legal Permanent Resident (LPR). An LPR is also known as a Permanent Resident Alien (PRA). U.S. Standard Master:A single business form with combined stencil which includes space for information required on many different export forms. Use of this form eliminates multiple typing. UK Trade & Investment :An organisation responsible for promoting the development of UK exports and encouraging foreign companies to invest in the UK. UK transit :A procedure for moving goods under Customs control when import or export formalities are carried out away from the place of importation or exportation, and the movement does not involve another European Union member state. Also know as national transit. Ultimate consignee – The principal party in interest located abroad who receives the exported or reexported items. The ultimate consignee is not a forwarding agent or other intermediary, but may be the end-user. UNCTAD: United Nations Conference on Trade and Development. Main arm of the United Nations General Assembly dealing with trade, investment and development issues. Union Internationale des Transports Routiers (IRU) :An international trade organisation for the road transport industry. 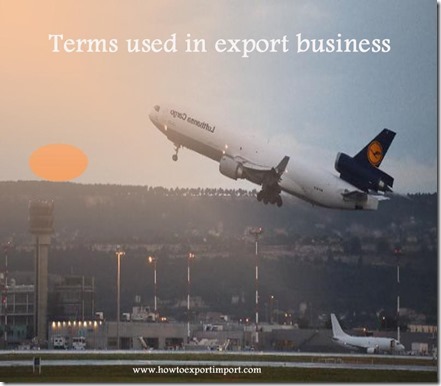 Unique consignment reference (UCR) :A reference, allocated by the Customs freight simplified procedures authorised trader to each import or export consignment, which can be used to trace the consignment through all the trader’s records. United Nations (UN) :An international organisation that acts as a forum for discussion and regulates international relations. Head offices are in Geneva and New York. US Commercial Service: The US Commercial Service is a Department of Commerce and International Trade Administration agency that helps US Companies, particularly small and medium-sized businesses make sales in international markets. Founded in 1980, the agency’s network includes 107 US Export Assistance Centers throughout the country, and more than 150 offices overseas. The US Commercial Service provides a multitude of export assistance services for US companies such as the Gold Key Matching Service, the International Partner Search, Commercial News USA, BuyUSA.com and the export.gov trade portal. US Small Business Administration (SBA): The Small Business Administration (SBA) provides financial assistance to US exporters. SBA targets its assistance to small companies and strives to assist those businesses that otherwise might not be able to obtain trade financing. Applicants must qualify as small businesses under the SBA’s size standards and meet other eligibility criteria. SBA’s Export Working Capital Program gives lenders the comfort they need so small businesses can get the financing they need. Under the program, the SBA backs up a loan request with its repayment guaranty. The SBA guarantees up to $1 million or 90 percent of the loan amount, whichever is less; offers exporters preliminary commitments (PCs) that encourage lenders to provide credit; and offers a simplified application form. SBA’s International Trade Loan SBA guarantees to commercial lenders up to $1.25 million in combined working capital and fixed asset loans, including any other current SBA loan guarantees. Working capital may be made according to the provisions of the Export Working Capital Program or as a permanent working capital loan. Validated Export License: A document issued by the U.S. Government authorizing the export of commodities for which written export authorization is required by law. Compare GENERAL EXPORT LICENSE. Validated License:A government document authorizing the export of commodities within the limitations set forth in the document. VAT: value added tax – in general terms VAT is payable on all imports at the same rate that would apply to the product or service if supplied in the UK. Many exports are zero-rated for VAT. There are complex rules surrounding VAT on imports and exports, and businesses should seek advice from the Customs and Excise website or Tel 0845 010 9000. Verification – Verification concerns the impartial examination and certification of claims made about the actual observance of code provisions by suppliers or of claims made about the activities that a company undertakes to give effect to its code. W.A. :”With average,” is a marine insurance term meaning that a shipment is protected from partial damage when ever the damage exceeds 3 percent (or some other percentage). Warehouse :A place approved by HM Revenue & Customs for the storage of goods without the payment of certain duties or taxes which would normally be due on those goods. The main types of warehouse are Customs warehouses, excise warehouses and Customs and excise warehouses. Warehouse receipt – A receipt issued by a warehouse listing goods received for storage. Warehoused goods :Goods placed under the Customs warehousing arrangements. Wharfage – A charge assessed by a pier or dock owner for handling incoming or outgoing cargo. Wharfage:Charge assessed by carrier for the handling of incoming or outgoing ocean cargo. Without reserve – A term indicating that a shipper’s agent or representative is empowered to make definitive decisions and adjustments abroad without approval of the group or individual represented. Compare Advisory capacity. World Trade Organization (WTO): Created in 1995 as a result of the Uruguay Round of the GATT, and hosted in Geneva, Switzerland, the World Trade Organization (WTO) is the only global international organization dealing with the rules of trade between nations. At the heart of the system – known as the multilateral trading system – are the WTO’s agreements, negotiated and signed by a large majority of the world’s trading nations, and ratified in their parliaments. These agreements are the legal ground-rules for international commerce. Essentially, they are contracts, guaranteeing member countries important trade rights. They also bind governments to keep their trade policies within agreed limits to everybody’s benefit. But their purpose is to help producers of goods and services, exporters, and importers conduct their business.